October is National Domestic Violence Awareness Month. 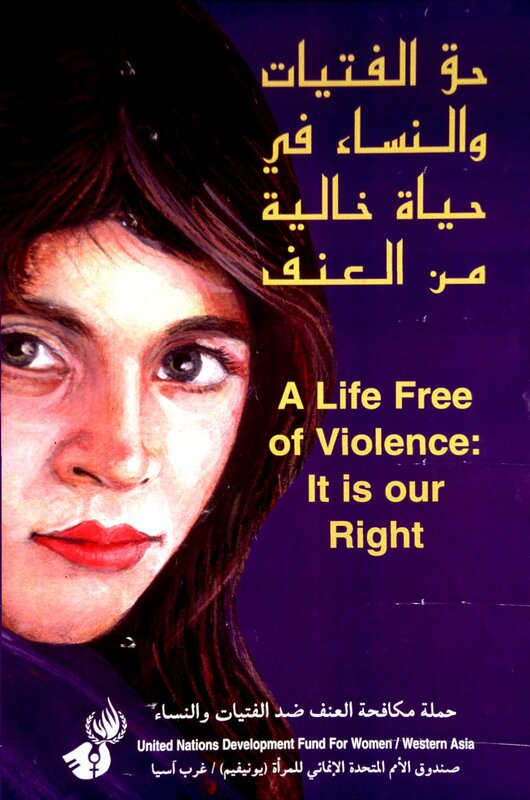 A striking poster, produced in Jordan by the Western Asia Regional Office of the United Nations Development Fund for Women, shows the face of a young woman and the phrase, A Life Free of Violence: It Is our Right, in English and in Arabic. The image is in NLM’s Prints and Photographs collection.